Mpumalanga Tourism and Parks Authority laid criminal charges against the culprit as soon as the incident was reported to them by Balule management, and Balule co-operated in the process. A regional warden by the name of Frikkie Kotze, representing the private property within Balule during the hunt, pleaded guilty to the charges and was fined R50,000 OR five years imprisonment, with both options suspended for five years. In addition, he must pay R35,000 to Elephants Alive to replace the elephant collar. The hunting party consisted of Kotze, professional hunter and outfitter JJ Horn, the client and his wife. Why was the hunt illegal? According to information gleaned from various sources, the permit for this hunt was issued by Limpopo authorities (LEDET) whereas the elephant was killed in the Mpumalanga Province. Balule straddles both provinces, and according to our sources the hunting party strayed about 700 metres across the provincial boundary to shoot the elephant. Relevant hunting protocol demands that the warden and professional hunter should have a good working knowledge of the area – including provincial boundaries. Why was the hunt a breach of accepted hunting protocol? The elephant was collared and part of an ongoing research project by Elephants Alive. The elephant, sponsored by Youth 4 African Wildlife, was named ‘George’ by the research team, and was collared on 15 August 2016. 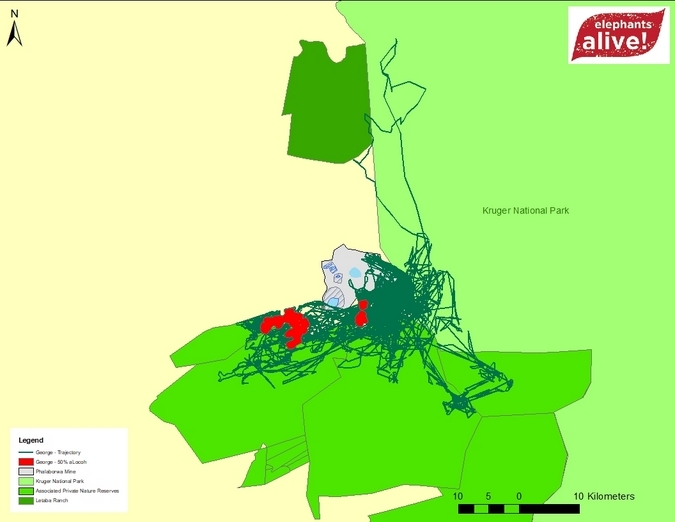 Data from his movements and behaviour formed part of a study by the University of Nottingham into how geochemistry influences elephant movements. According to our sources the elephant was covered in mud at the time of the hunt and the warden and professional hunter claimed not to have seen the collar, as it was, according to him, “very tight around the elephant’s neck”. The collar was removed after the elephant was killed, and sent to Balule head warden Craig Spencer, who delivered the collar to Elephants Alive. 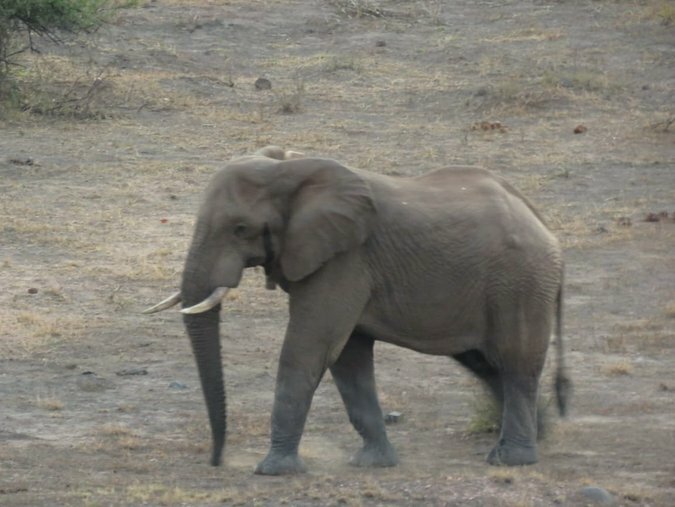 Aside from the above factors, all necessary permits and documentation for the hunt in Limpopo Province were apparently in place, and according to Associated Private Nature Reserves (APNR) hunting protocol, the elephant was of suitable age (20-30 years) and tusk size (30 pounds each side) for hunting purposes. Read our CEO’s opinion editorial about trophy hunting in the Greater Kruger.